If you haven't heard about Lipsense yet you might be living under a rock, or maybe you just aren't that into lipstick. After months of videos showing people trying to wipe off their Lipsense I was intrigued by its staying power. That said, the $25/tube price tag was off-putting, so I wrote the idea off entirely. Well, that is until my dear friend Shelby reached out to me to do a review. 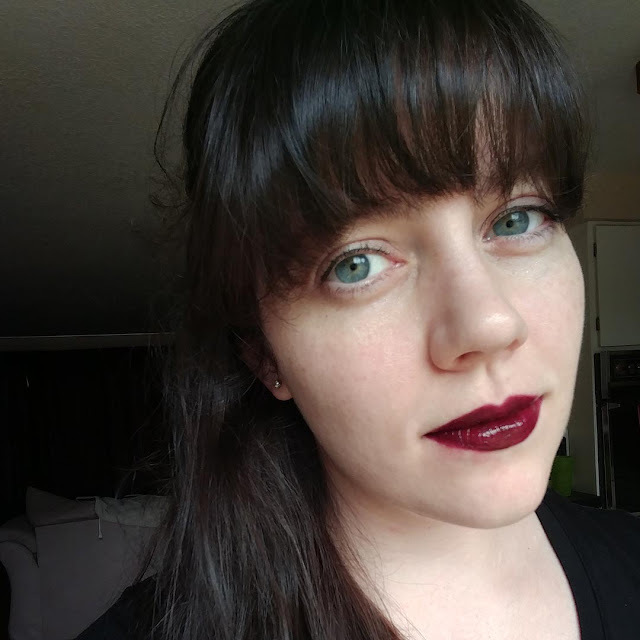 I'm a big fan of dark, vampy shades so I initially picked out Lipsense in Mulled Wine to try out. 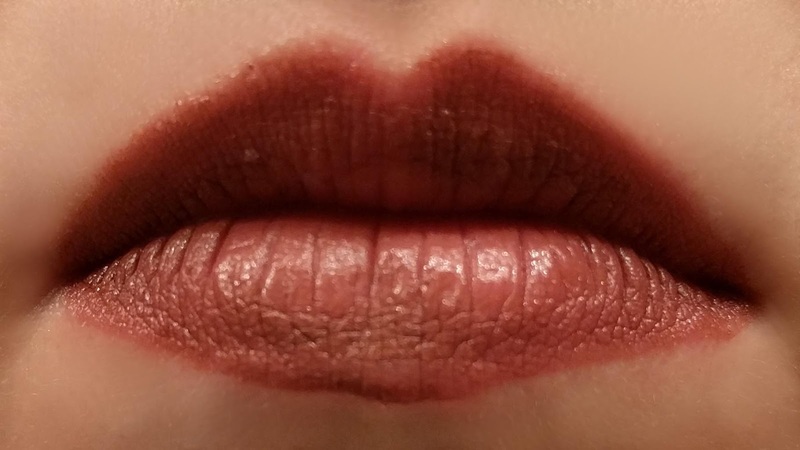 It turns out that Mulled Wine is a super tricky color, so I ended up using Bella for my first wear. We'll get back to Mulled Wine in a bit, but I would like to focus on Bella for the majority of this post since it's the shade I've worn the most. Just a little side note, Lipsense Ooops Remover and Lipsense Glossy Gloss can look quite similar at quick glance. The tubes have a white and a blue label respectively, but are both filled with clear product. Whatever you do, take an extra moment to read the tube so you don't mix them up. One tube seals the Lipsense color into your lips while the other removes the product. 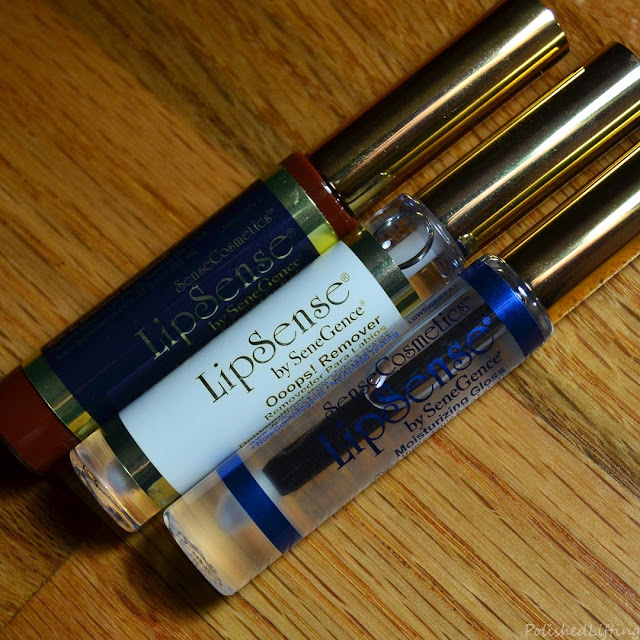 To apply Lipsense you start with clean, dry lips and apply the color in one direction while keeping your lips stretched and apart. It's important that you do not touch them together or go over the color again while it is wet. Both actions will remove the product. Once your first coat dries you can repeat the steps so that you have three layers of color. After 30 seconds to a minute of dry time you can apply your gloss to seal in the color. Pictured above is a no makeup selfie just after applying Lipsense Bella. This was my first attempt with this color, and I was quite happy with how it applied. In addition to the three coats of product I made sure to go over my waterline and lip line to make sure everything was symmetrical and covered. Lipsense boasts a 4-18hr wear time which seemed insane to me. 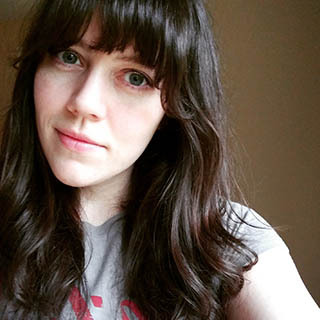 To put things into perspective, my first selfie was taken some time between 9-10am. After drinking coffee for a few hours I notice a little bit of flaking. 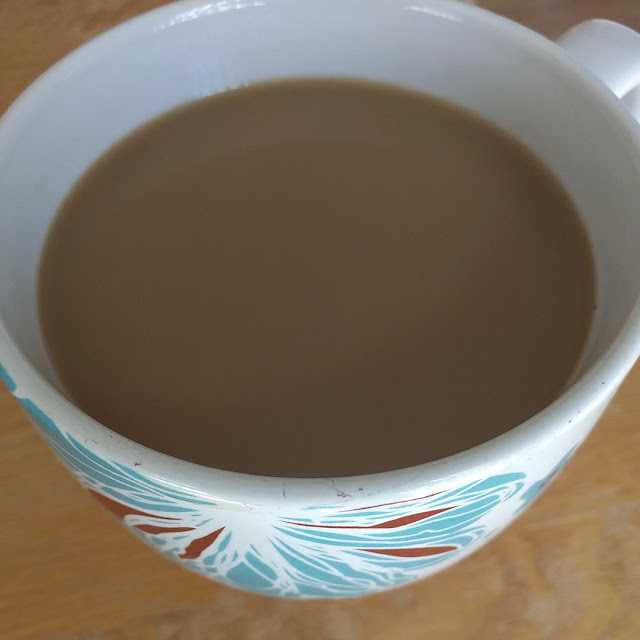 I documented what I saw with the coffee cup photo above. It's fairly minor and entirely beats lipstick all over the cup. After the coffee I ate some homemade "street" tacos (super greasy and delicious) and found that I needed to touch up my waterline after eating. Aside from that, everything seemed to be ok. The rest of the day involved hitting the gym for around 2.5hrs of powerlifting, and then I went straight over to the American Red Cross for my first blood donation. Pictured above is me post coffee, street tacos, gym, and blood donation. I look a little wild/exhausted but my Lipsense Bella is still intact! Aside from the minor waterline touch up post taco, all I did throughout the day was apply Lipsense Glossy Gloss as needed. You'll know when it's needed because your lips start to feel like they are a little tacky. If you want to get really close and personal here is what Lipsense Bella looked like when I got home around 8:30. There is a little bit of visible flaking but that's it. I got somewhere between 9.5-11.5 hours of wear time. I've worn Lipsense Bella several times since my first wear and have seen even longer wear times. Wear time depends on how well you apply the product, what you eat, your body pH/chemistry, and if you are good about keeping up with applying gloss. Ok. That was long-winded but we are finally back to Lipsense Mulled Wine. This shade is kind of a demon if I'm being totally honest. It's entirely different than applying Lipsense Bella. Bella is forgiving and easy peasy. Mulled Wine is anything but. I'm not going to explain the general Lipsense application process here but you can find all of that info in Shelby's Lipsense group. I was able to get twelve hours of wear out of Mulled Wine with a couple of waterline touch ups throughout the day. For best results I've complied a list of tips. Don't pick this as your first Lipsense color. The formula is nothing like most of the products available. Wipe off all excess product from the applicator before applying. When in doubt, wipe some more. Use the long side of the doe foot applicator. The goal is to apply product to all of the lip in one go. Go slow and focus on control and the path you want the applicator to take. Touch up any light areas after your second layer has dried. You are aiming for four ultra thin layers with Mulled Wine (unlike the usual three). I did a touch up after my second and fourth layer. M = Mulled Wine B= Bella. These were layered in the order listed. One of the other huge Lipsense claims is that you can get eight shades out of two colors just by layering. 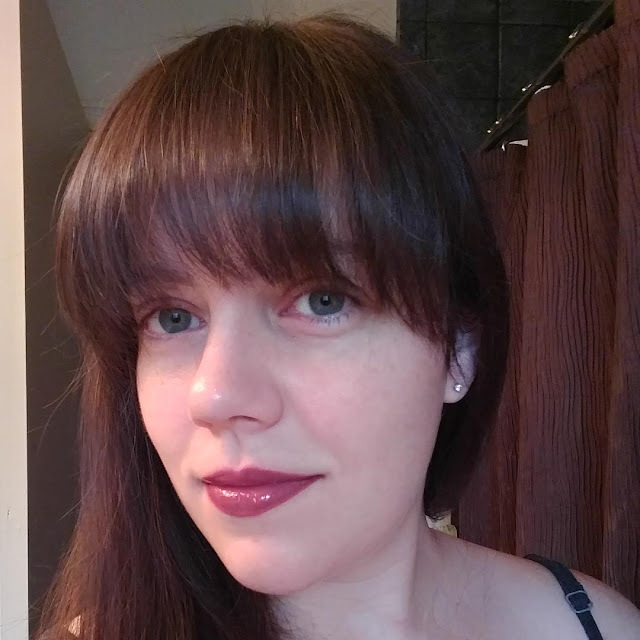 I decided to test this out by using Lipsense Bella and Mulled Wine. The layering is listed next to the color with an initial for each layer. 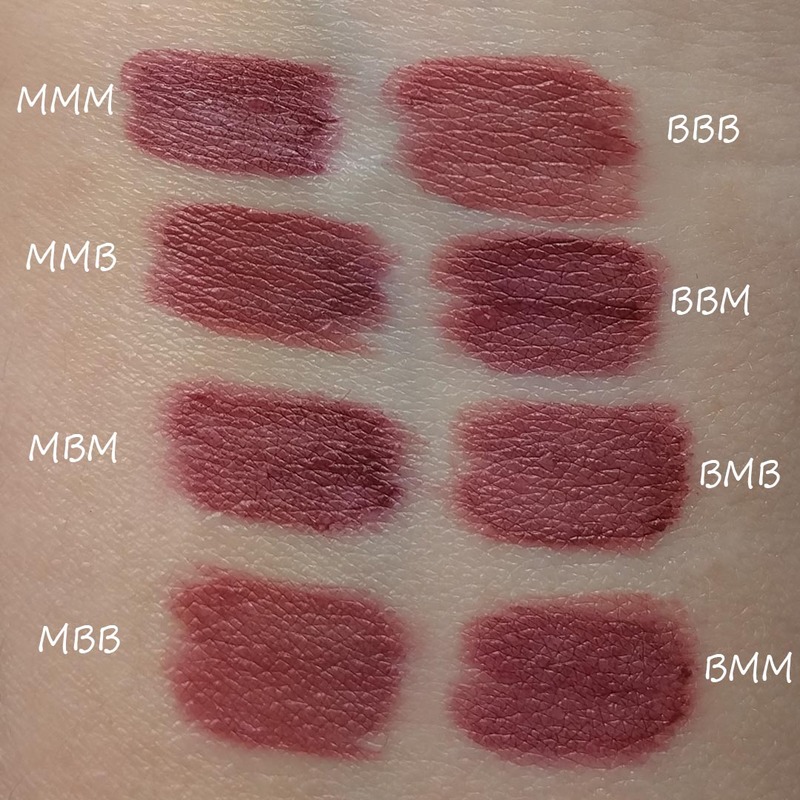 I really only see maybe four shades max including Bella and Mulled Wine individually. This may work with other Lipsense shades, but I think the coverage of Mulled Wine is generally too thin for layering. This is one massive post that deserves a concise conclusion regarding my thoughts. 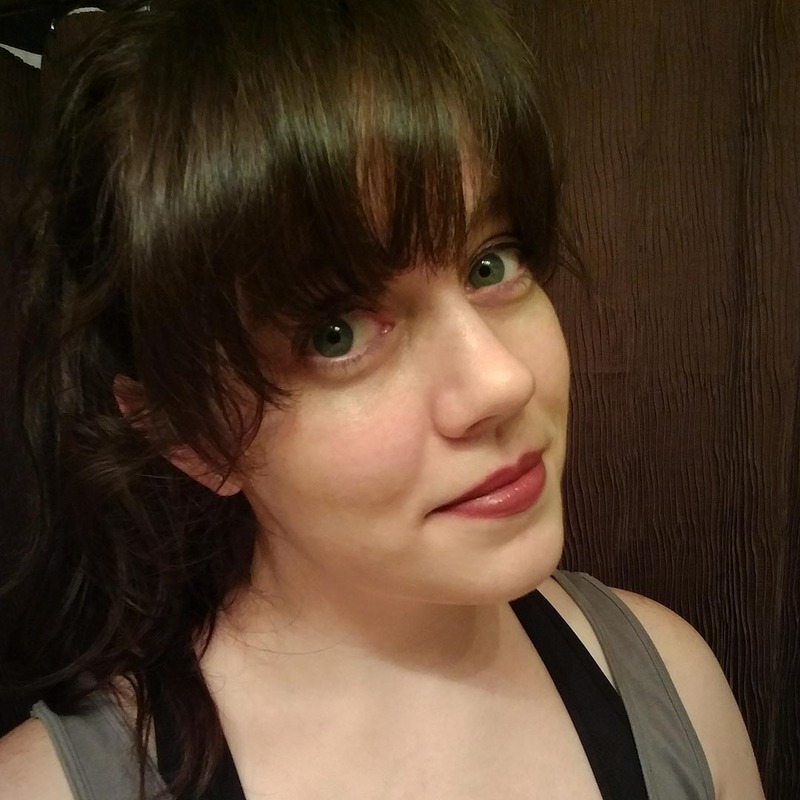 Would I purchase Lipsense? Yes, absolutely. While Mulled Wine was off-putting, Shelby was great about taking care of me and trying to resolve the color. 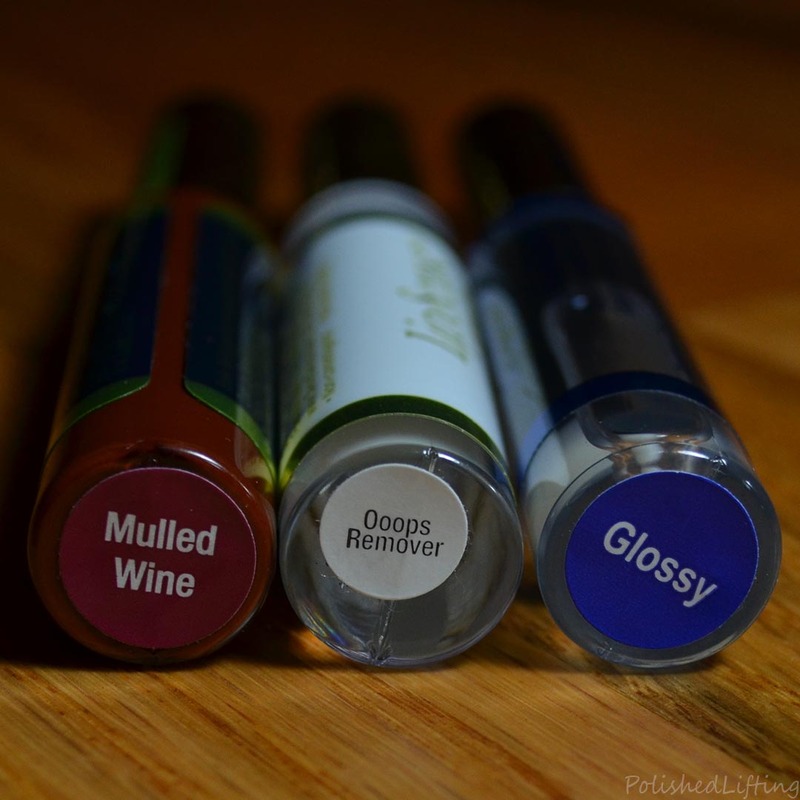 Mulled Wine isn't a great example of how Lipsense applies. Not all brands are going to have perfect formulas for everything, and it's really important to understand that. As for Lipsense Bella, this is a gem that I wear all the time. It's easy to apply and wears well. The price tag still seems a tad expensive for my budget, but that just means I will pick a couple colors instead of buying all of my favorites. With such a long wear time it is certainly worth the $25/tube. Both colors were provided by Shelby of Shelby Lou Loves Lips. Be sure to check her out and join her group. She's been nothing but helpful through my entire Lipsense adventure.